YOU get a poster, and YOU get a poster, and YOU get a poster! It couldn’t come at a more important time; inspiration and ambition in the next generation of thinkers and innovators may be lacking. Experts at the Partnership for a New American Economy project predict that by 2018 there will be a shortfall of 230,000 qualified advanced-degree STEM workers (science, technology, engineering and mathematics). Dr Bonnie Bassler, a professor of molecular biology at Princeton University, believes the reason American children might be falling behind in scientific ambition is due to a kind of hangover effect from the 20th century, when scientists were usually white-haired men of prestige, doing rarefied things that mere mortals could not comprehend. “I think that there is this stereotype of these boring asocial drones; that is who becomes a scientist,” Dr. Bassler says. So science needs a PR makeover. Fortunately, we have figures like Bill Nye, Neil deGrasse Tyson, Janna Levin, and Michio Kaku fighting the good fight. 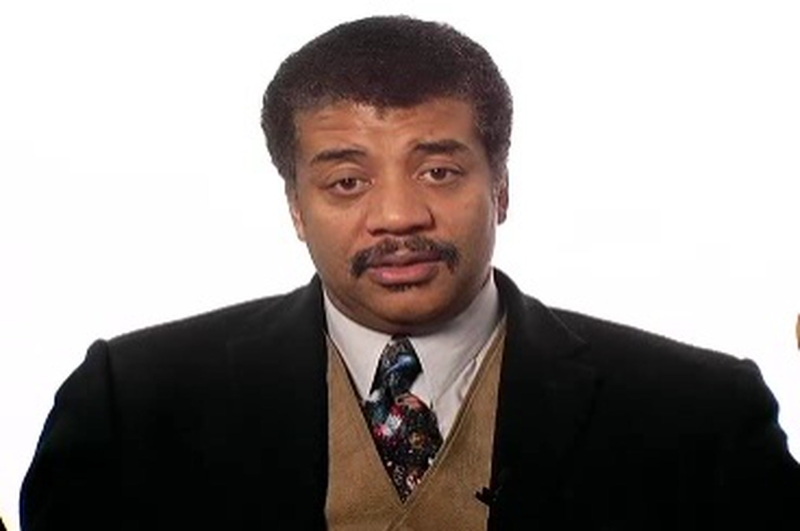 In a video for Big Think, Tyson has spoken on the natural scientist within every child, and that rather than chastising children for touching things for fear they might break something, adults should give kids more things to potentially break and take apart and smash. It’s all an experiment to them, and that’s a great thing. “I'm often asked by parents what advice can I give them to help get kids interested in science? And I have only one bit of advice. Get out of their way. Kids are born curious… And you know what you do? You put things in their midst that help them explore,” he says. One more thing. While Bill Nye was wrapping up his viral rant on the way Creationism harms children and stalls innovation, he said – nay, begged – these words: “We need scientifically literate voters and taxpayers for the future. We need people that can—we need engineers that can build stuff, solve problems.” A good science education (in school and in recreation) develops critical thinking, healthy skepticism and the ability to separate facts from “facts”. With this series of posters, the Jet Propulsion Laboratory tries to remind new generations of innovators and explorers that they are the architects of the future. Dreaming of the places that we as a species may one day go might just stoke the fires of young talent. Get your hands on NASA's posters here.